Today is Father’s Day. So, here is a story about a father. Someone who loves his children, just like you love your children. Someone who wakes up every day and works hard to be a better dad, just like you do . . .
Dwayne Wade is a basketball legend. He’s a fierce competitor who has been criticized for complaining when a referee makes a call he doesn’t like. It never bothered him that his every move on and off the basketball court is dissected by critics, and emulated by children who look up to him -- until now. . . . Because now the children who are emulating his behavior are his own. Not long ago, a court awarded Dwayne Wade sole custody of his two sons after a contentious custody battle. He is also raising a nephew. By all accounts, the guy’s a great father. But it wasn’t until he went to a youth league basketball game and saw his own son complaining to a referee that it hit him: A kid will model his behavior after his father. And if you don’t like how your kid is acting, it may be because he learned it from you. That’s when Dwayne Wade knew he needed to make a change. “I’m a role model for Zaire, Zion, and Dahveon,” Wade said in an interview. “So I go to their games and I hate, I hate, to see them talking back to the ref. I hate it. It burns me up inside every time. I’m like “Get back on defense.’ And then I look in the mirror and say, ‘Well, how can you tell him not to do something when you’re doing it?’ I look at that and I think that’s helped me understand." My mentor may have been joking, but the words ring true. We are shaping our children not only through our love and discipline, but also by how we act when we think they’re not looking. So, we need to try to continually improve ourselves. We need to try to be better people – for their benefit. Gary Frank has represented dads in divorce, custody, and parenting-time cases for over 30 years, and is a strong advocate. Mr. Frank is an expert courtroom litigator, as well as a mediator, and a former Superior Court Judge Pro Tem. 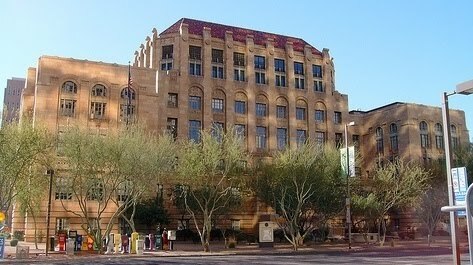 If you are in need of a consultation regarding divorce, child custody, parenting-time, or any other area of Family Law, call us today at 602-383-3610; or contact us by email through our website at www.garyfranklaw.com. We're always happy to talk to you.